Powerful script : You can quickly create and edit titles from anythere in your project. 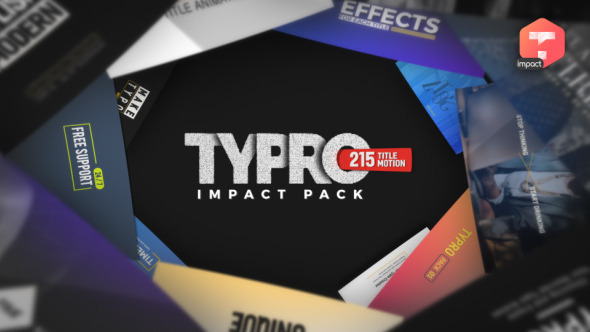 ImpactPack :215 Unique original titles. All scenes have different animations with different In and Out animation. Resolution :540p, 720p, 1080p (1920×1080), 2K and 4K (3840×2160) resolutions. RTL support in version CS6 and above. Universalized expressions:Works with any AE s language. Version: After Effects Cs6, CC, CC2014, CC2015 & CC2017. Fonts:Links to download the font included in the package. Tutorial :Audio/video tutorial included – Showing step by step.